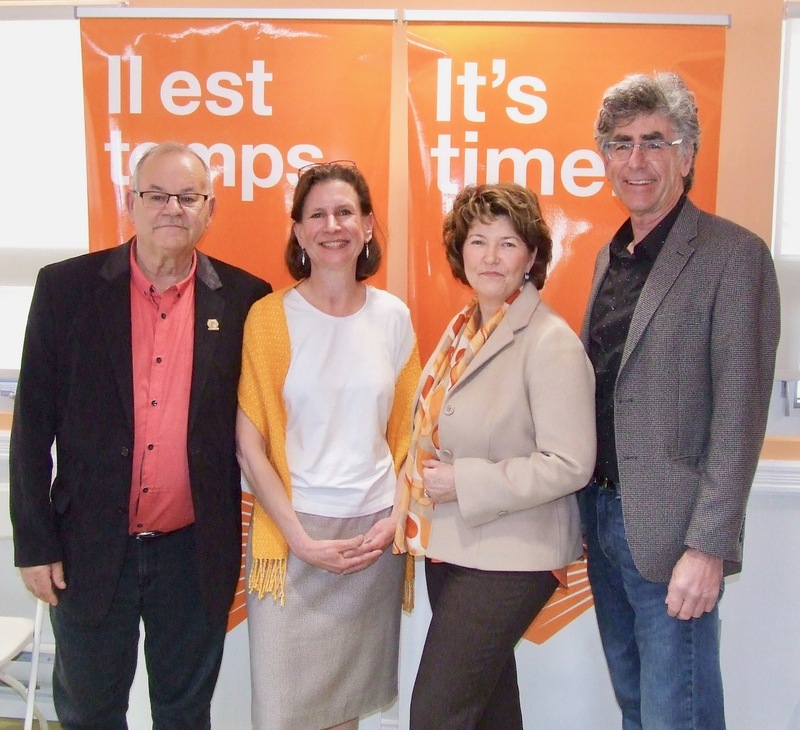 Local New Democrats have chosen Hélène Boudreau as their candidate in the riding of Memramcook-Tantramar for the provincial election on September 24th. During a meeting on Saturday in Sackville, a majority of the 17 members who voted picked Boudreau, a registered nurse, over Evelyne Godfrey who teaches in the anthropology department at Mount Allison. As is customary in such local contests, the exact voting results were not announced and members agreed that the ballots should be destroyed. It will be Boudreau’s second run for the NDP in Memramcook-Tantramar. In 2014, she finished fourth in the newly created riding with a total of 972 votes, well behind the 3,515 that the winner Liberal Bernard LeBlanc received. Boudreau says things have changed since the last election when voters overturned a Conservative government with high hopes for the Liberals led by Brian Gallant, a new premier-in-waiting. “Today is the start, we’ll work together to get a voice for our community; it doesn’t have to be Blue and it doesn’t have to be Red,” she said referring to the main parties’ political colours. Boudreau also criticized the Green Party for invoking the name of Bob Hall who won the old Tantramar riding to become the first elected NDP member of the legislature. 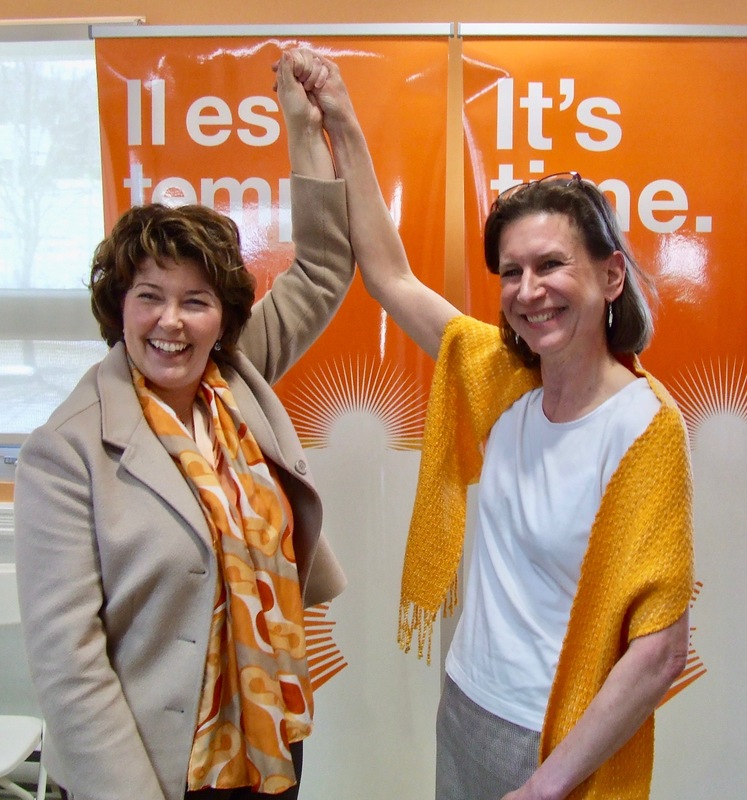 During the recent launch of the Green campaign, deputy federal leader Jo-Ann Roberts predicted the Greens would win an upset victory this year just as Bob Hall did for the NDP in 1982 when change was in the air. Yesterday, Boudreau said it “really hurts” that the Greens used Bob Hall’s name as “a ploy” to attract attention to their cause. She added that it was also “heart-wrenching” and in “ill taste” that the Greens would seek to gain political advantage by using the memory of a hard-working NDP stalwart just two years after his death. For earlier coverage based on interviews with Hélène Boudreau and Evelyne Godfrey about the issues that matter to them, click here. McKenzie became leader last August, more than seven months after former leader Dominic Cardy resigned. Cardy, whose right-wing policies alienated many grassroots members, later joined the Conservatives. Yesterday, McKenzie sought to put that past behind her. “Together as a team we have renewed the party, returned to our roots and rebuilt across New Brunswick to represent the values of the people of New Brunswick,” she said. After mentioning that former NDP leader Tommy Douglas was the father of public Medicare, she castigated the New Brunswick Liberals for betraying it. “This government is moving to privatize our health care at an alarming rate,” she said. McKenzie outlined the NDP’s six point plan for home care services, repeated NDP promises to bring in a $15 hourly minimum wage within four years, eliminate community college fees and reduce university tuitions. McKenzie drew sustained applause when she said the NDP would build a province where young people want to stay, where the work of women is recognized and where the wisdom and rights of First Nations people are valued. “We will build a province with good-quality public services for everybody,” she declared. This entry was posted in New Brunswick Election 2018 and tagged Hélène Boudreau, Jennifer McKenzie. Bookmark the permalink. Although I was not in NB in 1982, I see what is meant by the comment about Mr. Bob Hall. This being said, how will this party address the issue raised (youth wanting to stay here, women’s work recognized, wisdom and rights of First Nations valued)? How will this differ from all the other parties’ agendas?